Michelle Mixon was stopped at a red light at 76th and Mill Road on a cold December day when a woman on the sidewalk in front of the bus fell to the ground. The woman's 6-year-old daughter ran to the bus for help. "My mommy. Mommy," the little girl yelled as she ran on the bus. Michelle immediately picked the scared girl up to comfort her and called for help. As they waited for an ambulance to arrive, the little girl told Michelle her mom was having a seizure. "I'm scared," the little girl sobbed as Michelle held her tight. Other passengers kept the woman comfortable and eventually she was taken away by ambulance. Michelle, who is a mother and grandmother, stayed with the girl until the end. Michelle carried the little girl to the ambulance one the girls mom was stabilized. 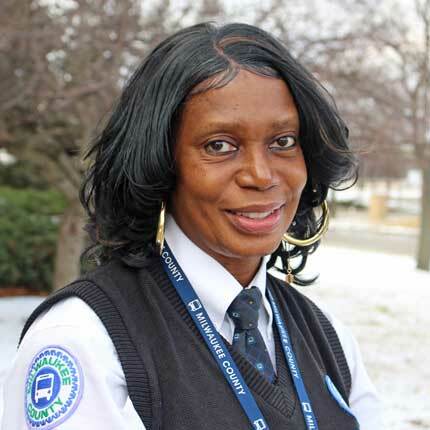 Michelle has been driving for MCTS for 21 years, she says this is easily the most memorable and emotional thing she has been through. She says she is happy she could help.